"No matter how tempting the specs on Lenovo's leaked 10.1-inch tablet are, you might prefer something fairly more portable just for the sake of your regular pockets. Well, it looks like Lenovo's got you covered, too. Freshly delivered from the same anonymous tipster are a stash of photos depicting a dual-core 5-inch Android tablet, which will apparently be marketed under the usual LePad brand in China as well as an upcoming IdeaTab brand for elsewhere (to help differentiate tablets from the IdeaPad laptop line)." Considering how poorly Dell's 5-inch Streak tablet has done in the marketplace, it's a bit puzzling that Lenovo would consider building their own 5-inch tablet. 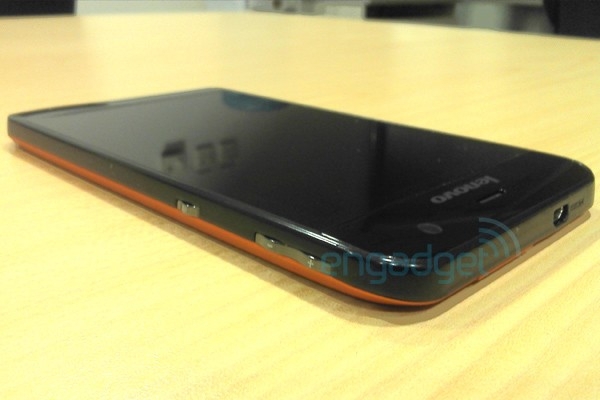 Could this be actually a (big) phone from Lenovo? All the photos provided in this "leak" were vague at best, with none showing a screen, so, my guess would be that this "tablet" *will* really be a phone. Thoughts, anyone?